How much would it cost to develop a Chatbot System for travel portal for hotel and flight booking? Chatbot - In a Nutshell !! The buzz around Chatbots have increased to a great extent. Various industries have adopted Chatbots to provide their consumers a digital experience. AI powered Chatbots are basically mimicking the human conversation. A wide range of platforms use chatbots as application interface to interact with users in an efficient manner by leveraging natural language processing. 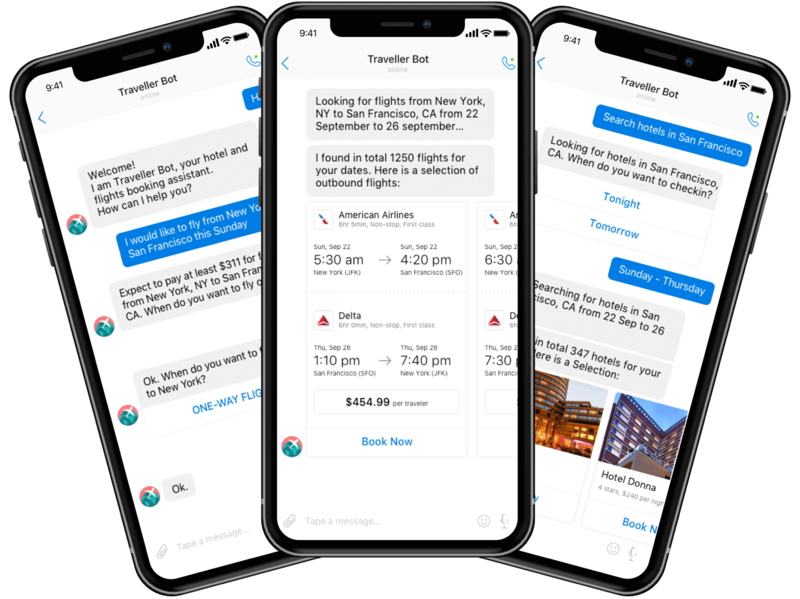 So the travel industry has also put a step forward to use the chatbots as virtual travel assistant which act like travel guide and an instant messaging interface. Why to create a Chatbot? If you are the owner of an on demand Travel portal, you already are aware about the importance of bringing innovations to your business products to stay in the competition. Chat bot is destined to enhance customer experience that will help in providing better customer service for your travel platform. The estimated cost of developing Chatbot of travel portal for hotel and flight booking will be in the region of $5.5K-7.5K. Let us have a look at the features users will be able to avail through Chatbot development in the application. Chatbot - The future saviour in Tourism!! Gone are those days when people were wondering how to get rid of local travel agents to book flights or search for a suitable hotels at a particular place. 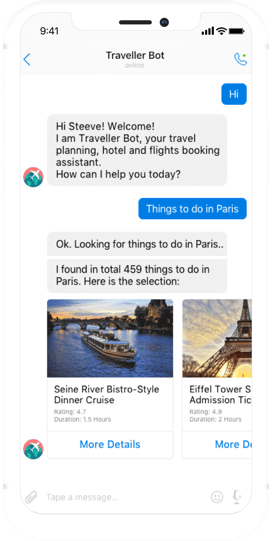 Chatbots have become the game changer in the travel industry. AI powered chatbots have been so massive that it helps the travellers for the travel arrangements and transforming the business by simplifying the business techniques. With the expertise of in-house Chatbot developers, Blockchain and AI developers, Web developers and designers; we have provided IoT and AI based solutions to the wide range of industries. Our Artificial intelligence, and the associated technologies of Natural Language Processing (NLP) and Machine Learning (ML), enables retailers to reach out to customers at a personal level, engage in deeper interactions and enhance their experience. Are you looking for an exclusive chatbot development team and wish to add value to your travel portal for hotel and flight booking? Can I integrate Chatbot with my existing travel portal for hotel and flight booking platform? We are a leading Chatbot development company in Ahmedabad, India where our in-house Chatbot developers can build Chatbot SDKs which can be easily implemented with new and existing web and mobile application platforms. Can Chatbots automatically learn questions asked by users? It is not mandatory to host the Chatbot on a separate server. We can develop and integrate the Chatbot to the same server that runs web or mobile travel booking platform. Which type of Chatbot should be integrated with my hotel and flight booking platform? 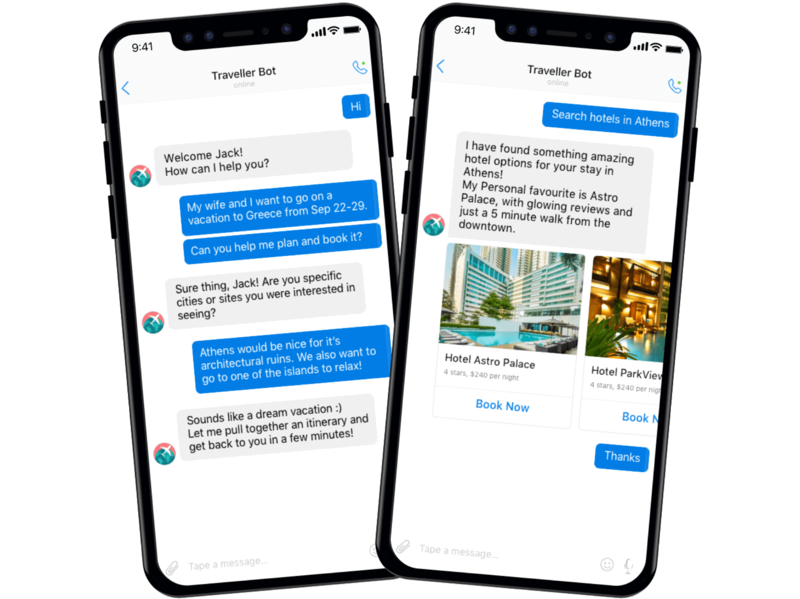 Converational and flow based Chatbots can be built and integrated with hotel and flight booking application platforms. Is there any facility to export the chat happened between bots and users? Can you provide option to hire dedicated Chatbot developers for my travel booking application development project? Have an !dea to develop a chatbot for travel portal for hotel and flight booking?